It's so easy to copy! 1. Lucy Hale dared to get a straight-across chop. 2. Kim Go Eun of Goblin was also spotted with a blunt bob. 3. Kylie Jenner recently transformed her locks to the same style, too. 4. And her sister, Kendall, followed suit! 5. Brow queen Lily Collins chose a layer-free lob. 6. 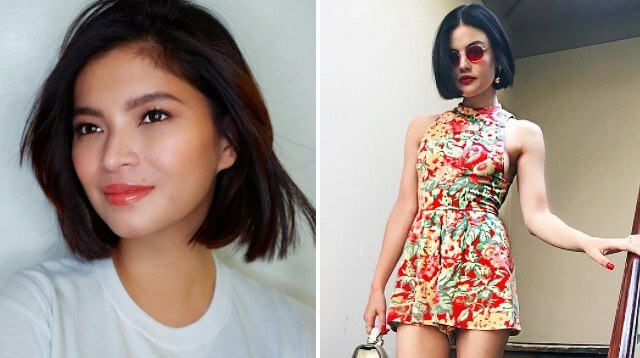 And helloooo, our very Angel Locsin sported a blunt cut, too!